I’m really stepping up my cider game here, but I wanted to report briefly on this cider that we had over the weekend. Induced by J.K.’s Scrumpy we had last Thursday night, a friend who crashed with us for a couple of nights decided to buy this 750 ml bottle of Michigan cider and we drank it Sunday. Tandem Ciders is located in Sutton Bay, MI. For the Smackintosh they use “old school Michigan apples” (whatever this is to mean…), in this case McIntosh apples (you kinda figured with that name), Rhode Island Greening and Northern Spy. The store we bought it at had several other varieties on shelf, but somehow we ended up with this one. At 5% ABV it sounded about right for a summer day. It poured way lighter in color than the Scrumpy and the texture was also less thick. It tasted pretty yummy, refreshing and a nice amount of not make you burp bubbles. 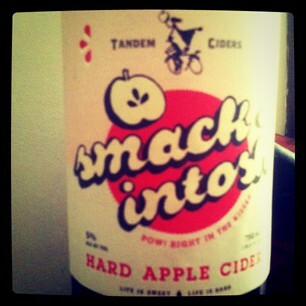 I did not get a “smack” or anything (I guess I expected something like that from a cider called Smackintosh). It was on the sweeter side, but still refreshing, a good drink on a Sunday afternoon. I agree, that’s a wallop of a price for cider. Love the name: Tandem Ciders! 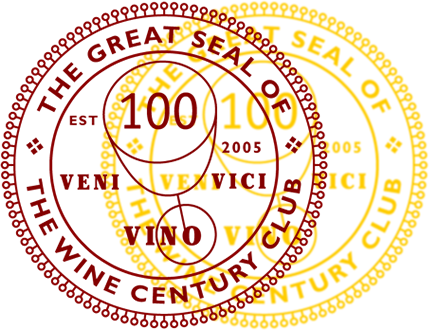 Might have to go get some….